February 4th in Viral, Wordpress Plugins by Wordpress Jedi . Providing your visitors with an impeccable experience on your site is the best way to keep them coming back for more. WP A.I Assistant can help with that. It is a virtual assistant for your site that lets you preprogram actions and interactions on your site. 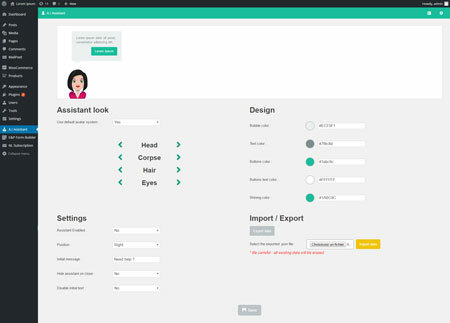 WP A.I Assistant allows you to change the look of your assistant and graphics from the backend. loopus is the coder behind this.